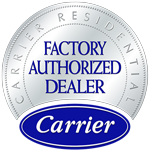 Premier Heating & Air Conditioning Inc is proud to serve the Caldwell community! Caldwell, Idaho is a city located in Canyon County. It is positioned in the southwestern corner of Idaho and is part of the Boise Metropolitan Statistical Area. According to the United States Census Bureau, Caldwell had a population of approximately 53,149 in 2016. Caldwell is the 6th largest city in the State of Idaho. Native American Indians were the first individuals to explore and dwell in the area of present day Caldwell. During the Civil War, the discovery of gold brought European explorers and settlers into southwestern Idaho. In the late 1800s, Robert Strahorn brought the Oregon Short Line Railroad to the Boise River Valley. Strahorn selected a location for a new depot 30 miles west of Boise City and subsequently, a depot was constructed and the City of Caldwell was founded shortly after. The city was named in honor of Alexander Caldwell, a business partner of Strahorn and a former Kansas Senator. Since its founding in the late 1800s, Caldwell has developed into a large, bustling city. Caldwell is home to several city parks and is the host of many community events. Both the Canyon County Fair and the Caldwell Night Rodeo are a few of the events that take place in Caldwell. The city is also home to several local businesses, excellent dining and shopping opportunities, and wonderful amenities. Caldwell is located in a climate that experiences four distinct seasons. This means temperatures vary greatly depending on the time of year. During the summer season, temperatures easily climb up to the low-90s during the daytime. At night, temperatures will dip into the upper-50s. Daytime temperatures during the winter season average in the upper-30s. Also, snowfall is very common during this season in Caldwell. It is important for both heating and cooling systems to be installed in the homes of Caldwell residents. These systems keep individuals comfortable inside their homes throughout the changing seasons.